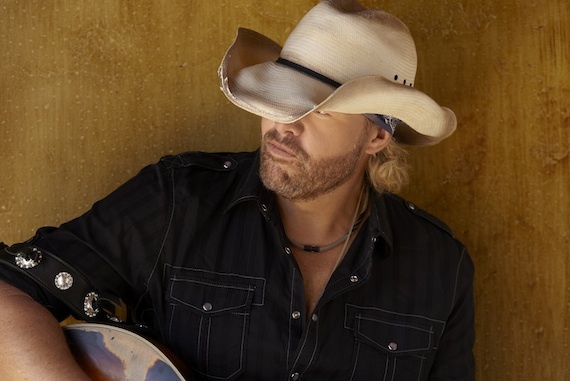 Toby Keith’s performance in his hometown of Moore, Okla., will be featured on TBS’ Neighborhood Sessions on Oct. 16. The episode focuses on those who inspire Keith and others in their local community. Proceeds from the episode benefit the Toby Keith Foundation’s OK Kids Korral pediatric cancer facility, soup kitchen and shelter program Food and Shelter Inc. and local volunteer organization Serve Moore. Also, Keith’s television ad for the Wounded Warriors Project’s “Believe In Heroes” campaign begins airing nationally on Oct. 24. The spot features the Schei family, whose son, Erik, was shot by a sniper in Iraq in 2005 and continues to recover. His brother, Deven, joined the Army seeking to finish his brother’s mission of service, and was wounded in Afghanistan in 2010. The campaign also features retired Air Force Capt. Mary McGriff, who served in Iraq in 2005 and has received help through Wounded Warriors Project with her treatment for post-traumatic stress disorder. In addition, Chicago PBS affiliate WTTW’s Soundstage series will launch its new season with Keith’s performance, filmed in September. The show’s air date will be announced at a later date. Keith released his newest album, 35 mph Town, on Oct. 9. A new single titled “Beautiful Stranger” will be released to radio on Oct. 13. Craig Shelburne is the General Manager at MusicRow.